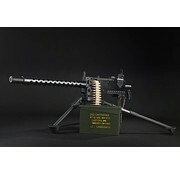 RWA is proud to announce the release of this long-awaited replica, the M1919 Browning Machine Gun AEG. RWA partnered with Viva Arms to produce this beautifully finished replica. It includes a 5000 round box magazine complete with simulated bullet belt feeding and rattlings system. 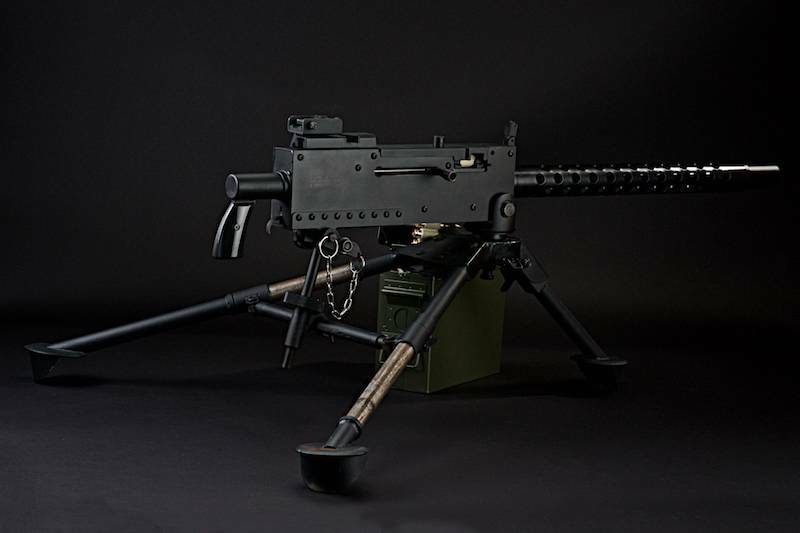 The real steel M919 Browning is a medium machine gun firing .30 caliber (30-06) ball cartridge contained in a woven cloth belt, feeding from left to right. It was widely used during the 20th century, especially during WWII, the Korean War and the Vietnam War. 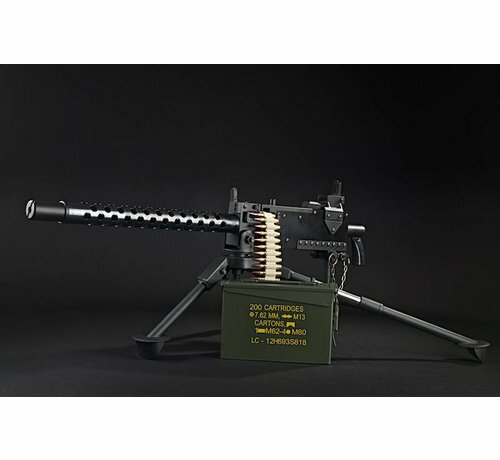 The M1919 saw service as a lightweight, low-slung, tripod-mounted gun for infantry use. Fixed vehicle mounts were also employed, especially on jeeps, armored personnel carriers, tanks, and amphibious vehicles. Later variants went on to be used as both a fixed (offensive) and flexible (defensive) weapon on aircraft. 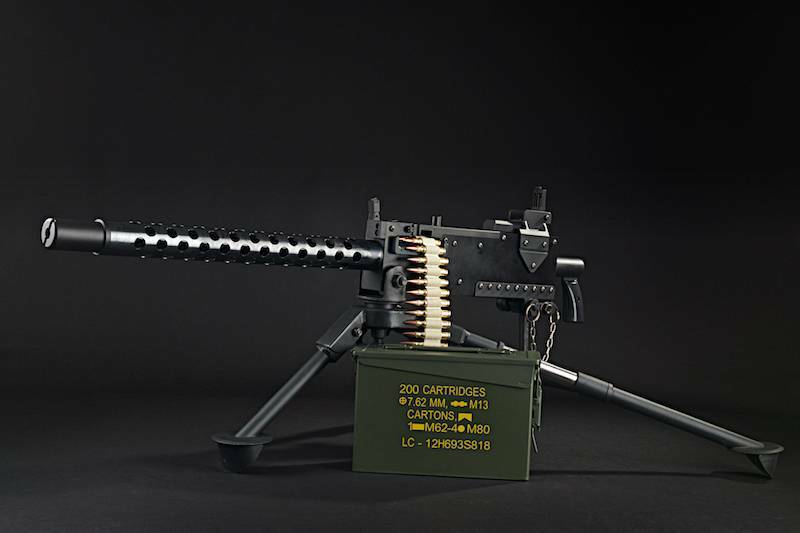 The M1919 comes packaged in two separate boxes, with the main gun housed in one box. 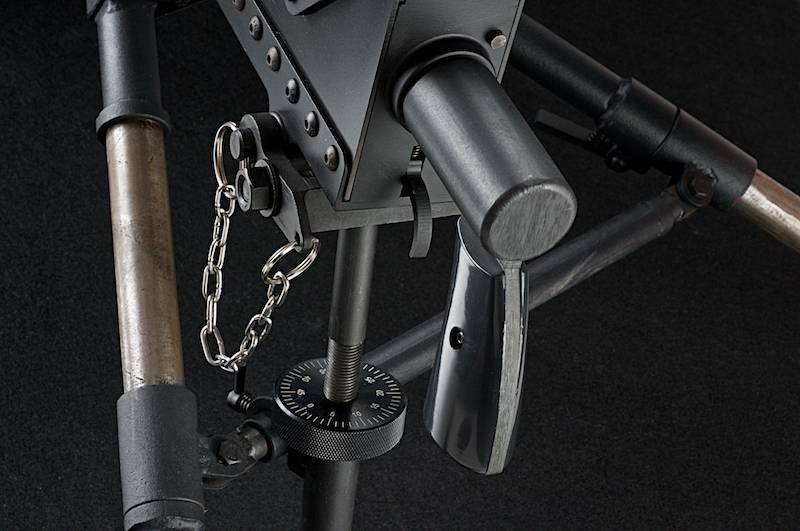 The second box contains the tripod, made of the same steel material as the rest of the M1919. You will need to put it together yourself. Don't worry, it comes with a manual covering every point when it comes to assembly and operation. It is far from lightweight: the total weight is 15.6 kilograms when fully assembled. The body itself is well balanced in the centre and sits comfortably in the centre of the tripod. The steel construction and heft of the gun make maneuvering it very realistic. 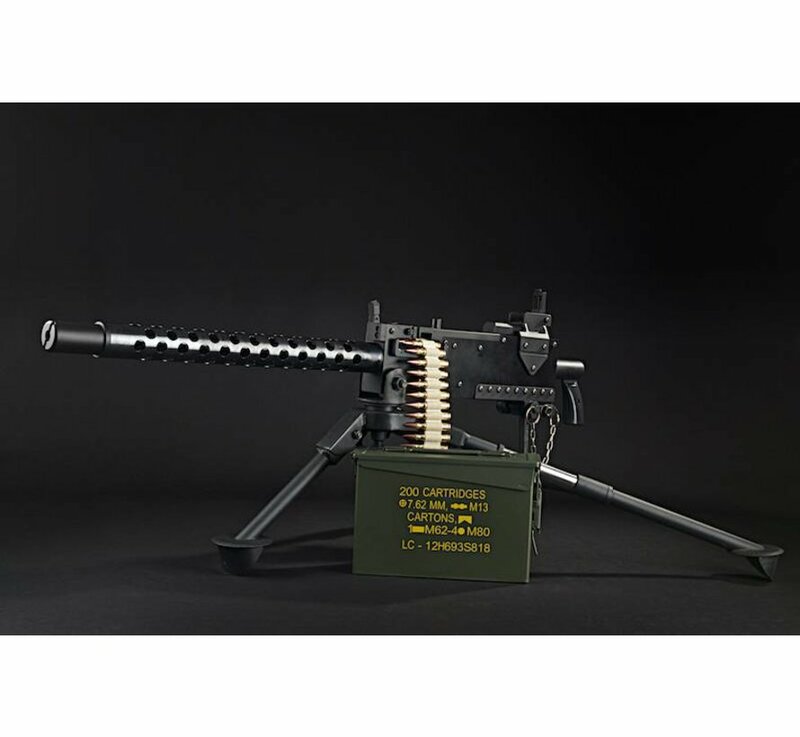 Unlike the real M1919, this replica does not feed from above, but instead, from the side. The BB feeding tube slots into a hole that feeds into the chamber from the 5000 round box magazine, nearly 2 bags of BBs, which will take a while to empty. This features give the fun true milsim and skirmish capabilities. Considering that the M1919 is a suppressing fire machine gun, the RWA replica is faithful to the original. Its primary function is to lay suppressive fire effectively and quickly. 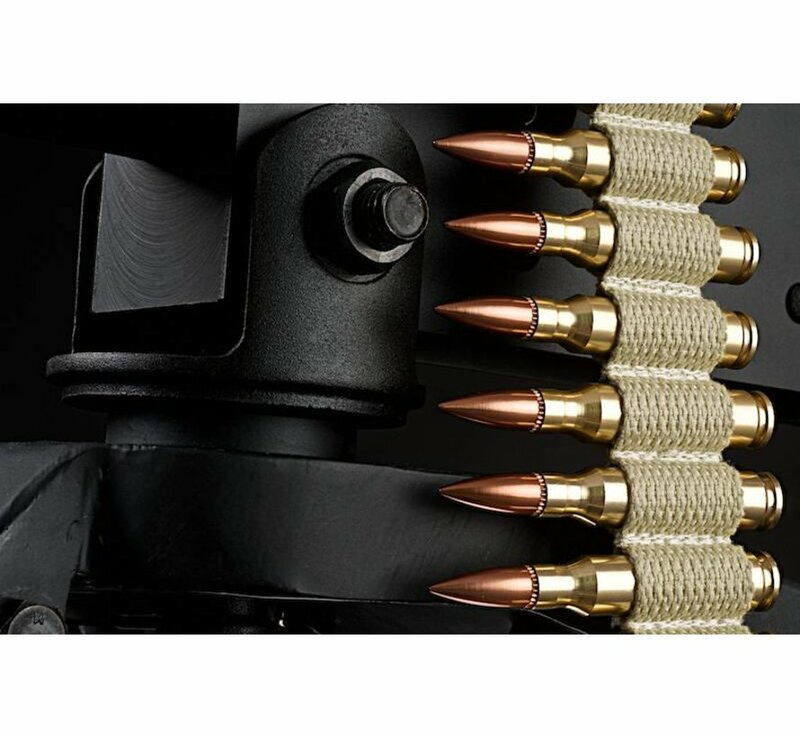 The higher rate of fire and the ability to hit a target reliably from a distance is a key factor when going up against other replicas of similar caliber. 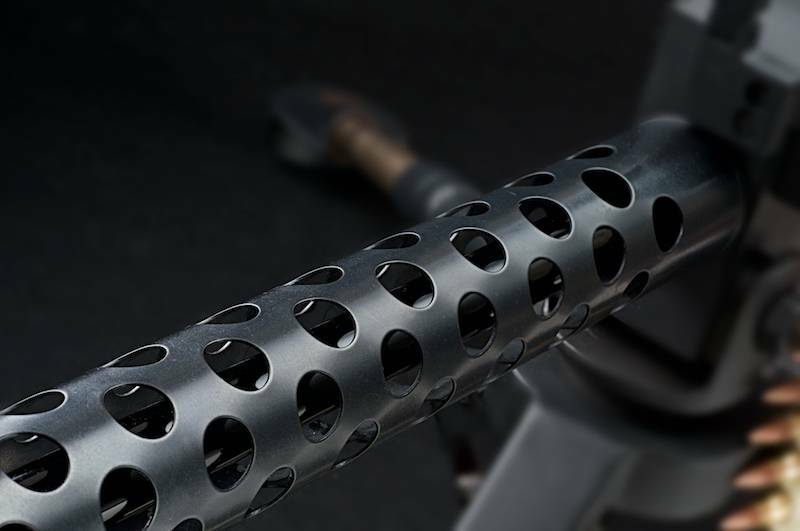 High muzzle velocity doesn't equal greater distance traveled by the BB, as the combination of a well polished, 500mm long, 6.08mm diameter inner barrel and quality hop up, well sealed against the new CNC high grade aluminium gearbox, make for an accurate, suppressive fire machine gun. 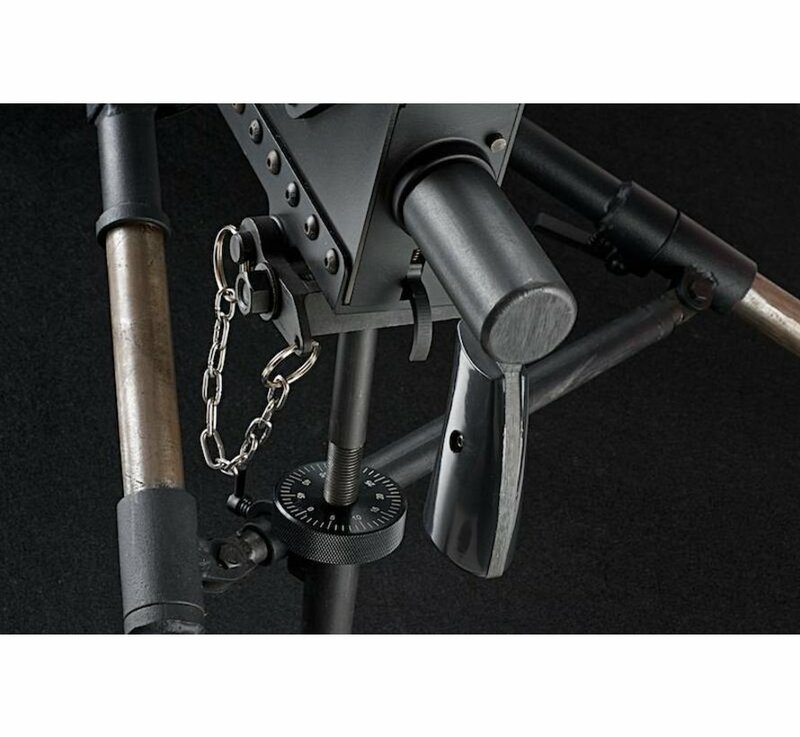 Quality internals allow the user to hold the trigger down for a long period of time without worrying about shredding of gears and overheating of the motor. Using the correct weight BBs (RWA BBs recommended) you will be able to reach distances of 50 meters with ease and demolish any large group of the opposing team. 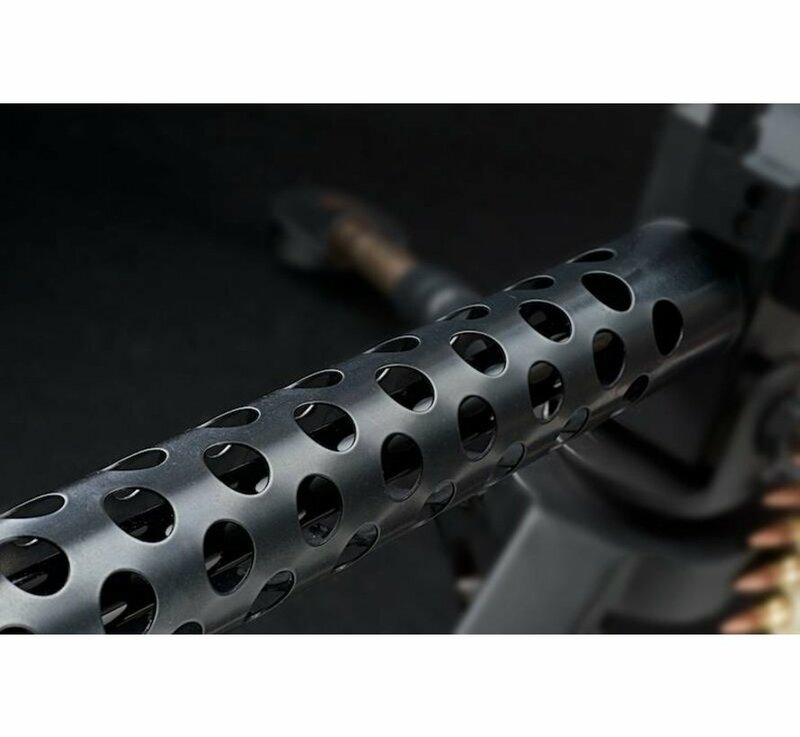 When it comes to functionality, the M1919 is not complicated. Putting it together only takes a few steps and connecting all the cables is very easy. The replica comes with 2 batteries; one RWA 7.4V Lipo battery for the AEG and a 7.4V PEQ battery for the magazine. The red button in the box magazine will feed the BBs into the chamber and will not overflow. 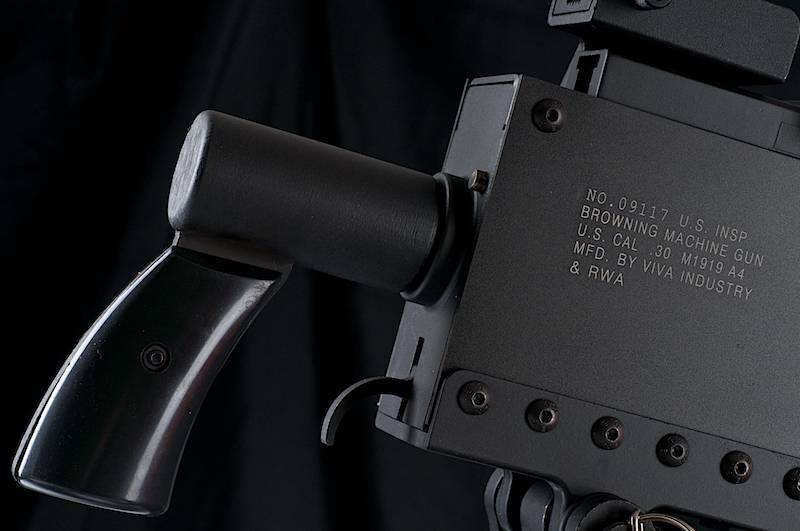 The battery for the AEG is held in place under the receiver as the connector is fed from underneath the gearbox. Another blue cable found underneath connects to the blue cable from the magazine and will automatically feed the BBs as you pull the trigger. Adjusting the hop-up is simple and only needs a hex key to turn a screw found above the feeding tube so you can shoot and adjust at the same time without having to open the gun. 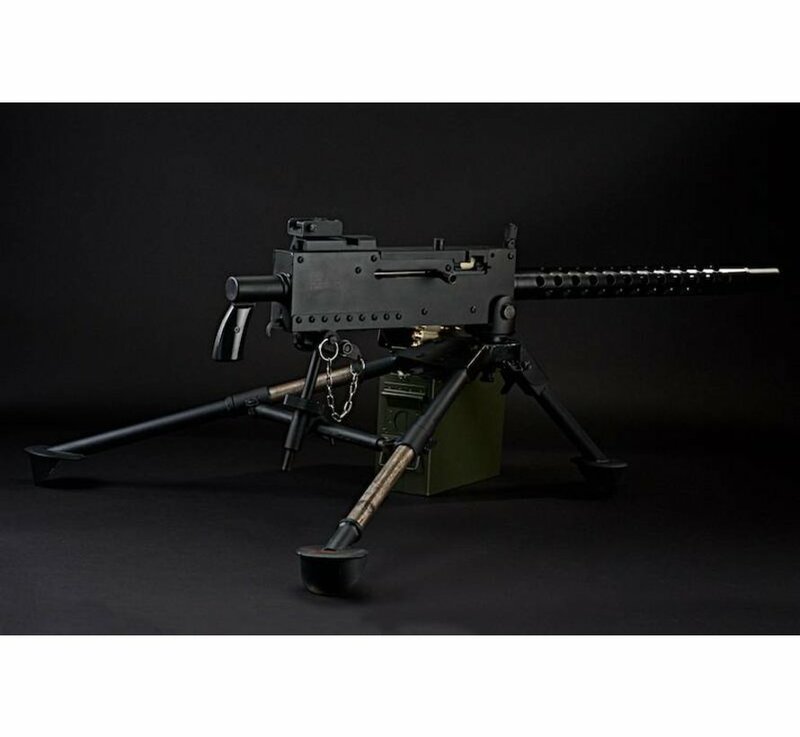 The box magazine is designed to be placed on the ground next to the M1919, just like the real thing. 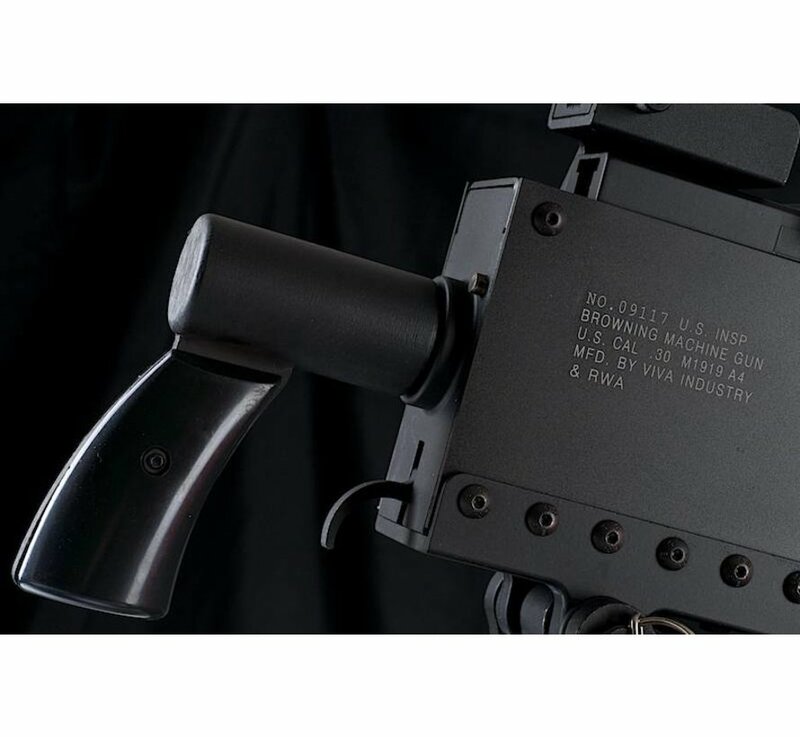 It is not designed to latch onto the receiver. Want the dummy bullets to shake and rattle as you fire the gun? All you need to do is flick the switch found behind the motor inside the receiver. 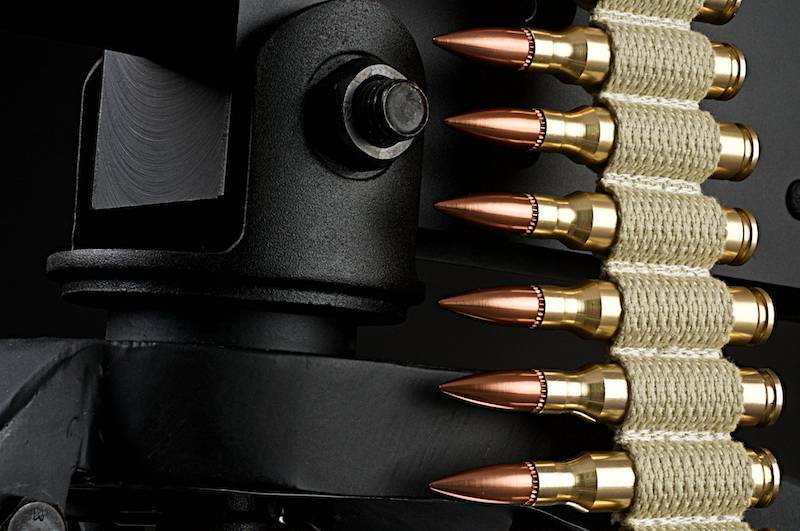 This only adds to the fantasy of having a belt fed machine gun; but if this feature bothers you, you can turn it off. You won't need to oil the gun as often as you think since a worn down M1919 will only add to its authenticity.